Laboratory Concentrators are ideal for the quick and precise concentration of nucleotides, DNA/RNA, proteins, and other liquid or wet samples. Laboratory Concentrators are durable and easy to use to increase the productivity of concentration protocols in your lab. Laboratory Concentrators offer intuitive, ergonomic and durable solutions. Scroll down below and click on individual Laboratory Concentrators or accessory products to find out more about each one or check out our Laboratory Concentrators Spotlight Product below. The Eppendorf Vacufuge plus Vacuum Concentrator is ideal for quick and precise vacuum concentration of nucleotides, DNA/RNA, proteins, and other liquid or wet samples. The Eppendorf Vacufuge plus Vacuum Concentrator has outstanding capacity capabilities. With the help of a spacer, the Eppendorf Vacufuge plus Vacuum Concentrator allows the stacking of some fixed-angle rotors which increase the capacity up to 144 samples. It is completely durable (stainless steel chamber) and easy to use. 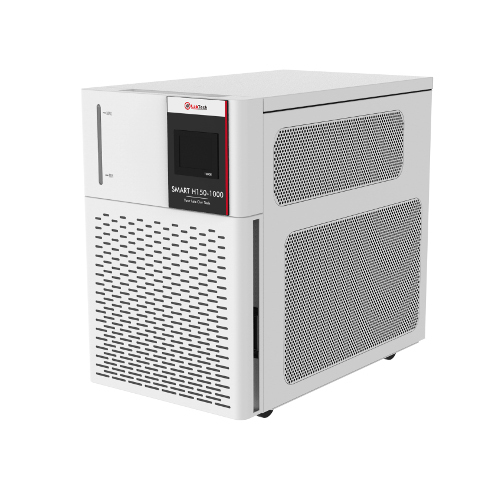 Order and increase productivity in your lab! Can be set to 4 temperature levels which include room temperature, 30°C, 45°C, and 60°C which allows for efficient concentration of your samples. Eppendorf Vacufuge plus Vacuum Concentrator is available in 3 different system configurations which include Basic, Complete with pump, and Complete with vacuum junction in order to meet your lab’s needs. The Vacufuge plus Vacuum Concentrator has a choice of 3 application modes which include alcohol, aqueous, or high vapor pressure to correspond with sample solvents. Able to be used in 3 different operational modes including vacufuge, centrifuge, and desiccator to best fit your labs' needs. The Vacufuge plus allows the drying of various samples without cross-contamination. Choose from 15 rotor options which accommodate from 0.2 mL to 50 mL samples, PCR plates and microplates. At a narrow 12.6 in/32 cm width, it saves bench space. Can be connected with most common cold traps for use with vapors. The Vacufuge is equipped with a transparent lid so that you can easily observe your samples. Comes with a 2-year warranty on parts and labor.